Are you sick of your employees complaining about the office being too cold or too hot? Do you drop the thermostat in winter and raise it in summer to save a few bucks on heating and cooling? Well, it could be costing you more money than you think. It’s common knowledge that environment has a direct effect on productivity, for example, if there is a loud construction site next door to your office it will be much harder to focus on your work. However, what most people don’t know is that simply increasing or decreasing room temperature by a few degrees can have a huge effect on productivity. In fact, a Cornell University study found that when temperatures were lowered to 20 degrees celsius employees made 44% more mistakes than when room temperature was optimal at 25 degrees celsius. One of the greatest benefits of installing air conditioning in the workplace is increased productivity. When temperatures are too cold or too hot, our bodies begin to use energy to try and regulate body temperature. This means that there is much less energy going towards focus and concentration. As a result, workers are likely to complete their work at a much slower pace and make more errors than they would in a temperature controlled environment. In fact, office temperatures contribute to billions of dollars in lost productivity every year, and some studies have found that productivity can drop by up to 20% in uncomfortable temperatures. Conversely, when office air conditioning is set to the ideal temperature, workers are able to put more of their energy towards staying on task and focused. For most homeowners, installing an air conditioner is one of the last things on their minds in the colder winter months. However, the last thing you need when summer finally rolls around, and you realise there’s no way you can survive another Queensland summer without air conditioning, is to be put on a month long waiting list for your AC installation. There are many benefits of installing your new air conditioning unit in the winter such as securing cost effective deals, scheduling the install for the least disruption to your schedule, and having your pick of quality air conditioning installers. One of the main benefits of installing your air conditioner in winter is that this is the off-season for air conditioning companies. This means that you are likely to get a much more competitive price, as air conditioning companies are trying to secure off-season jobs. Additionally, an installation in the winter usually means that the job will be completed quickly and at a time that best suits you, rather than having to work around the busy schedule of an AC technician in the summer. When purchasing and installing an expensive home appliance there is always the worry of untrustworthy technicians cutting corners to save money. Although this can still happen in the winter, it is much less likely. This is because, during the off-peak season, you will have your pick of local installers as opposed to in the summertime when the best companies are already fully booked. Air conditioners are generally left unnoticed until they stop working. However, if you keep your air conditioner regularly maintained and ensure all parts are kept in good working condition, you can significantly reduce the chance of a break down. This includes regularly changing your air conditioning filter between scheduled services. If you’re not confident in changing the filter in your air conditioner call Advanced Climates Solutions on 07 3206 3542 and one of our local air conditioning experts will do it for you. What is an Air Conditioner Filter? So, what is the air conditioning filter and why is it important? The filter in an air conditioner is usually a paper or mesh panel that is used to control the quality of the circulated air by filtering out dust and debris. However, as the filter gradually builds up more and more dust and dirt it can become clogged, allowing dust to enter both the system and the room. Not only does this reduce the quality of the air in the room, when dust and dirt get into the air conditioner itself it can cause wear and tear on the inner components. Additionally, as the filter becomes clogged, less air can flow through it meaning that your air conditioner has to work harder and for longer to produce cool air. This can cause the air conditioner to prematurely age and ultimately result in having to replace the unit sooner than expected. You wouldn’t buy a brand new car and risk having no insurance, so why risk your air conditioner? For most people, an air conditioner is a sizeable investment so the last thing you want is to end up spending hundreds of dollars on emergency repairs or even thousands on replacing a prematurely failing system. With regular scheduled servicing you can ensure that your new air conditioner runs smoothly, for as long as possible, without the need for avoidable repairs or early replacement. Plus, you can keep the running costs of your air conditioner down by keeping your air conditioner running at maximum efficiency all year long. If you’re looking for quality scheduled air conditioner servicing at a great price, call Advanced Climate Solutions today on 07 3206 3542. 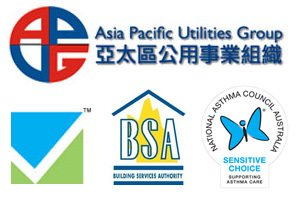 Advanced Climate Solutions are your local air conditioning experts. Whether you need quality air conditioning installations, 24/7 emergency breakdown service or reliable air conditioning maintenance Brisbane wide, we’ve got you covered. Air conditioners can lose up to 5% efficiency each year. With an expected life time of approximately 10 years, this means that your air conditioner could reach a minimum of 50% efficiency during its lifetime, in which case, you will be spending twice as much on your electricity bill. However, a regularly maintained air conditioner can retain up to 95% of its original efficiency. Advanced Climate Solutions are your local air conditioning experts. Our highly trained technicians are on call 24/7 to keep your air conditioner working at peak efficiency all year long. 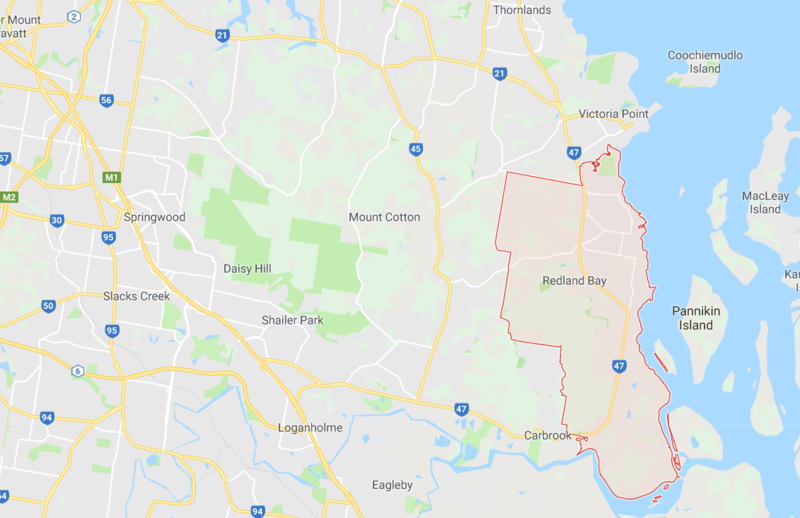 Based locally in Thornlands, Brisbane South, we are perfectly situated for a speedy arrival to any South Brisbane home or business. If you’re looking for quality air conditioning services you can rely on, look no further. Call Advanced Climate Solutions today on 07 3206 3542. We offer a range of quality services at great prices including installations, repairs, servicing and maintenance, commercial and residential air conditioning services. Advanced Climate Solutions provide quality air conditioner installations Redlands and Brisbane wide. Whether you want a split system air conditioner or window unit to a full house ducted air conditioning system, we offer quality installations at competitive prices. Our policy is customer service before, during and after any job to give peace of mind to everyone involved. From advice and installation to scheduled servicing and repairs, from start to finish, we’ve got you covered. Many people will buy a new air conditioning system and then promptly forget about it. But no one wants to invest in a brand new air conditioner only to have it breakdown weeks after the warranty expires. However, that is exactly what is likely to happen if you buy a new air conditioner and neglect to have it regularly serviced. Luckily, Advanced Climate Solutions makes regular maintenance and servicing easy. Call 07 3206 3542 today to organise scheduled maintenance for your air conditioner and keep it running smoothly all year long. 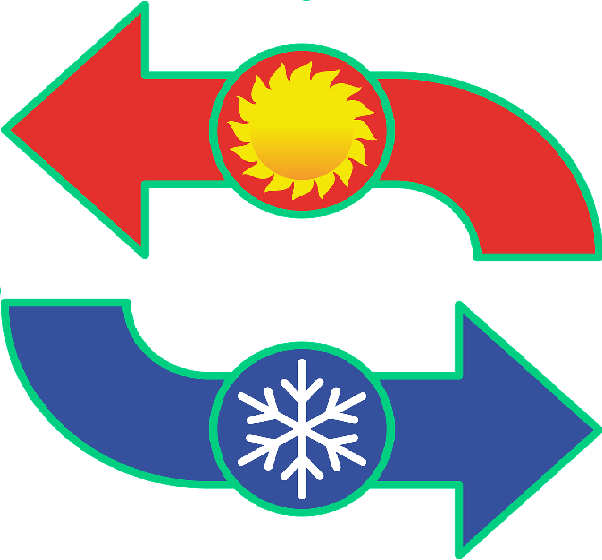 Advanced Climate Solutions are your local air conditioning specialists. Our team of highly trained technicians have years of experience and are on call 24/7 for emergency repairs. A well maintained air conditioner can last a long time, but no air conditioner lasts forever. Whether you need minor repairs or a system replacement, call the experts. Call ACS today on 07 3206 3542. In the meantime, we’ve come up with 7 signs that it’s time to replace your air conditioner. One obvious sign that could indicate that your air conditioner is on its last legs is when it stops producing cold air. Whether the air coming from the system doesn’t seem as cool as it should be or your ducted air conditioner is cooling some rooms but not others, you may need to consider replacing the entire unit. However, in the case of a ducted air conditioner only cooling some rooms, it could be a simple problem of obstructions in the ducts or filters that are blocking the airflow. Conversely, with a split system unit that is producing warm air, it could simply indicate that the refrigerant levels are low. It can be hard to tell if you need to replace your air conditioning unit just because it is no longer producing cold air (although if the system is over 10 years old it will most likely need replacing). That’s why it is generally a good idea to have an air conditioning specialist take a look at your AC unit before replacing it as it may simply need minor repairs to get it back up and running again. Why Choose Ducted Air Conditioning For Your Brisbane Office? The notoriously hot temperatures of the Brisbane summer means that no Brisbane office is complete without some form of air conditioning. But, which is the best type of air conditioner for your office? Advanced Climate Solutions are your local air conditioning experts. We have compiled a list of reasons why ducted air conditioning is the solution to keeping your Brisbane office cool and comfortable all summer long. For a more personalised air conditioning solution call us today on 07 3206 3542. Ducted air conditioning has lower running costs than split system air conditioners when cooling large areas or multiple rooms. Plus, a ducted air conditioner with zone control is even more energy efficient by only cooling the rooms as you need to. Some ducted air conditioners have a zone control function. This allows you to have different temperatures in different zones for maximum efficiency, all controlled from the wall mounted panel. This means that you can only turn on the air conditioning in rooms that need it rather than cooling everywhere unnecessarily such as meeting rooms that may not even be used all day. 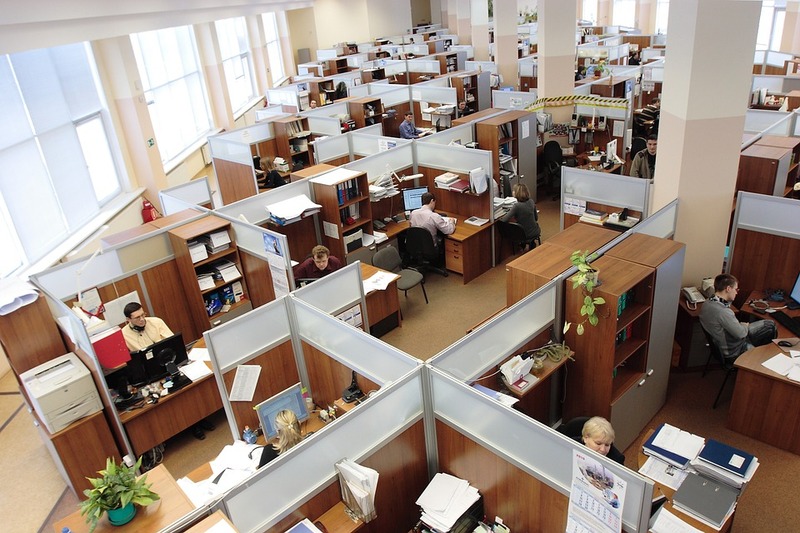 It’s no secret that loud or distracting noises can seriously affect the performance of workers. There’s nothing like the background noise of a loud commercial air conditioning unit to stop you from being able to focus. That’s why a ducted air conditioning unit is ideal for cooling offices and workplaces. The lifetime of any air conditioning unit depends on where it is installed and how well it is maintained. 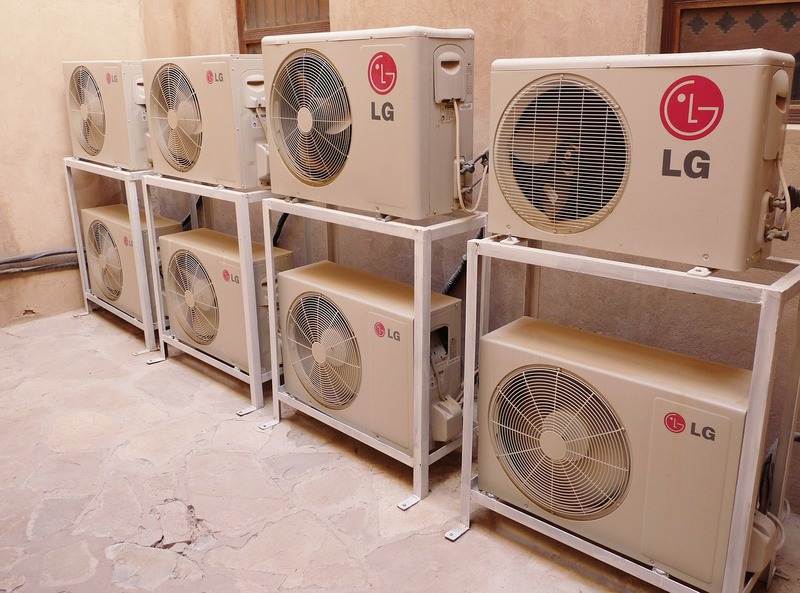 HVAC specialists give most centralised air conditioning units an expected lifetime of 10 to 15 years. However, if well looked after, your air conditioner could last for over 20 years. Conversely, if an air conditioner is poorly maintained, the lifetime of the system could be much shorter than 10 years. The quality of the air conditioning installation plays a big part in extending, or shortening, the lifetime of your air conditioning system. If shortcuts have been taken or the air conditioning unit has not been correctly installed, the lifetime of the system can be shortened before you’ve even turned it on. Conversely, if an air conditioning unit is professionally installed to a high standard, your air conditioning unit will likely last much longer. An air conditioner will generally last much longer when correctly sized for the room that it is cooling. 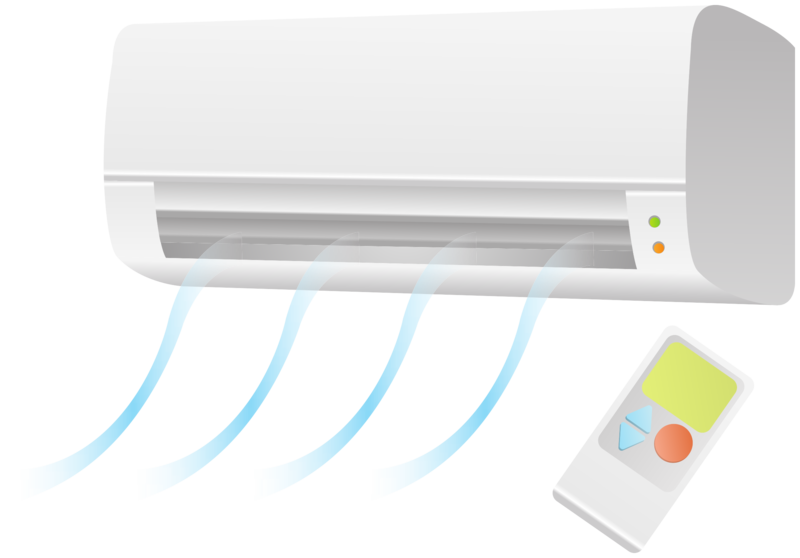 An air conditioner that is too big for the room that it is cooling will constantly be turning on and off causing additional wear to the system. This is because a large air conditioning system will quickly cool a small room to the set temperature and then turn off. However, air conditioners are not designed for this and as such, the air conditioner will not have a chance to complete the full cycle. This can result in a room that has been cooled without removing the excess moisture in the air.